Making a decision when it comes to buying new tyres can often feel as confusing as reading a tyre label. There is a lot to take into account, and for most people, choosing tyres can feel like a chore. But this only leads to making hasty and ill-informed decisions. There is a lot that goes into a tyre, and although they may look similar to each other, there are plenty of differences to take into consideration when choosing the right tyres. Luckily, the tyre experts here at Asda Tyres are here to take you through some of the most important tyre features that’ll help you make the right choice. When you’re buying new tyres, you must consider fuel economy and how this is going to impact you. Of course, the better the fuel economy, the more money you’ll save and the fewer emissions your car will emit. Usually, you’ll be able to see what the fuel economy rating is on a tyre before you make a purchase. For instance, at Asda Tyres, you can view the fuel economy rating of a tyre from A to G, with an A rating giving you the most miles to the gallon. 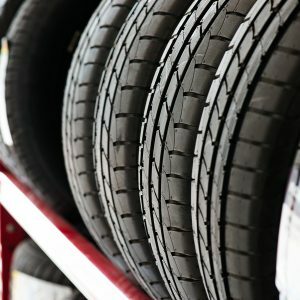 High-quality tyres don’t often come cheap, and with a saturated market, it is difficult to know where you are getting the best deal. But of course, the actual cost of your tyres is an important element that will influence your decision to buy. It’s not just the cost of your tyres too. You’ve also got to take into consideration the fitting costs. At Asda Tyres, we regularly check our prices to ensure we’re offering our customers big savings even on premium tyre brands such as Bridgestone, and you get local fitting included in your price. Arguably one of the most important features a tyre has, because it is vital for safety, is its wet grip performance. This rating basically refers to how well the tyre copes with dispersing water, and therefore, how long it takes for the car to brake in wet conditions. Similar to a tyre’s fuel economy, there will be a rating from A to G.
It’s an important part of choosing your tyres because the better your tyres can brake in wet conditions, the safer you’ll be. No one likes a tyre that raises hell with the noise it makes. So, road noise is another element you should think about when choosing the right tyres for you. Luckily, there is an easy way to find out how much road noise a tyre produces. At Asda Tyres, you can see how much noise a tyre makes measured in decibels. Finding this information out before buying will help you to make the best decision so you’re choosing tyres that will work for you when you’re out on the roads. Although having eco-friendly tyres is beneficial for the environment, it is also beneficial for your bank account. Some tyres, such as the Bridgestone Ecopia range, are designed specifically to help the environment which also saves you money. They do this by reducing the roll resistance of the tyre so that you can travel further while using less fuel. Since they use less fuel, you will save on running costs, while your car produces fewer CO2 emissions. It’s a win-win. The weather conditions you will be regularly driving in should play a large part in the car tyres you choose. You need to decide whether winter, summer, or all-season tyres are appropriate for the time of year and the weather you expect. As the name suggests, winter tyres are more suitable for driving in cold weather, and they will cope more efficiently with snow and ice. Summer tyres offer optimal performance and efficiency above temperatures usually around 7 degrees Celsius. If you’re looking for something that’s more of an all-rounder, you may want to consider all-season tyres. If you’re buying tyres for a van, you will need to search for tyres that are specifically designed for this type of vehicle. They are usually made with reinforced sidewalls to cope with the extra weight that is carried by vans, often over long distances. But it isn’t just vans that often carry heavy loads. When searching for tyres, you may come across some with the symbol ‘XL’. At Asda Tyres, this basically means they use a more reinforced compound to cope with heavier loads, but they are still the same size as normal tyres. So, depending on whether you carry heavy loads in your car on a regular basis, you may want to consider this feature for your new tyres. If you’re unsure what a run flat tyre is, they are a type of tyre that has a reinforced inner wall which allows you to keep driving if you have a puncture. This allows you to drive somewhere safely to get it fixed because it is not recommended that you drive on a punctured tyre for long. Run flat tyres will give you peace of mind, so this is certainly a tyre feature to consider while you’re selecting new tyres. Learn more about run flat tyres in this blog post. Although your driving is not strictly a tyre feature, it is something that will affect the way you look at tyre features when choosing new tyres. You must think about your driving habits and whether you take short frequent journeys, or long, less frequent ones. The more intense your driving is, and how difficult your usual terrain is, will mean you need a more sturdy set of tyres that are suitable for this kind of driving. Be sure to consider this when selecting new tyres. Selecting new tyres from a well-known, trustworthy brand can ensure you get quality tyres that will serve you well. Bridgestone are one of the biggest names on the tyre market, with a big reputation. A regular on the racing circuit, Bridgestone tyres are also often used as original equipment by leading car manufacturers, so you can be sure of premium quality when you buy Bridgestone tyres. Why not take a look at our help and advice centre for more information about our tyres?